After a long, bitterly cold winter, we’re beginning to see the first signs of spring. Flowers of all types are in bloom, and in many places throughout the country, that blossoming is celebrated with festivals featuring music, food, fun and games, and naturally, flowers. We've picked five of our favorite floral festivals in April and May to help you get a spring in your step. If you can’t make it to the annual Cherry Blossom Festival in Washington D.C., your next best bet is to venture to Branch Brook Park in Newark, New Jersey for the Essex County Cherry Blossom Festival (running through April 20). Home to the largest collection of cherry blossoms in the country (with more than 4,300 trees, the park has earned the nickname "Cherryblossomland"), Branch Brook Park is bursting with activities throughout the month. Take a trolley ride weekends through April – the 45-minute tour tells the history of the 118-year-old park, and offers riders excellent views of the main attraction, the trees. 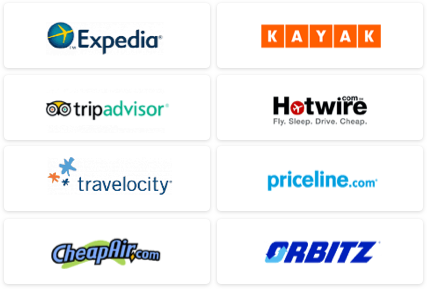 (Tickets are $5 and must be bought in advance, call 973-239-2495 for more information.) The festival will close out with Bloomfest on April 14, which includes food vendors, musical performances, Japanese cultural demonstrations, a bungee trampoline, and more. 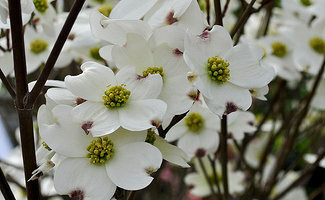 Atlanta’s Dogwood Festival, from April 19–21, is celebrating its 77th year in the city. The event is noteworthy not only for the blossoming dogwood trees, but also for the abundance of high-caliber art on display and for sale. Hundreds of art pieces, running the gamut from paintings to sculpture and jewelry, can be viewed in the Artist Market. The festival also does a good job of employing green practices: Visit the Eco-Village for exhibitions on how to remain eco-friendly, or rent an Eco Power Bike to help support education and recycling initiatives. And any festival wouldn't be complete without plenty of food, arts and crafts, musical entertainment, and more to go around. If you want to tiptoe through the tulips, there are few better places stateside than Pella, Iowa during the Tulip Time Festival from May 2–4. Just 45 miles outside of Des Moines, Pella has a prominent Dutch population, and Tulip Time celebrates that heritage in style. Attendees can clack around town in wooden clogs, wearing traditional lace and britches, and enjoy meals of peppery bologna sandwiches and buttery pancakes called poffertjes. The twice-daily Tulip Time Parade showcases the Dutch influences in full force, as costumed children march through the town. Naturally, the 300,000 multi-colored tulips are a spectacle all their own. 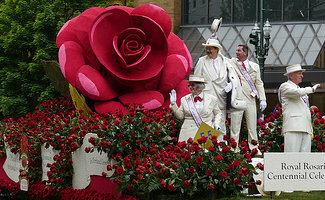 Portland’s Rose Festival is a West Coast staple, and returns this year from May 19–June 16. Though The Rose City is dotted with a plethora of, well, roses, the festival’s biggest draw is the Grand Floral Parade, the second largest floral parade in the U.S. The daylong affair features meticulously crafted floral floats, as well marching bands, a cappella groups, and dancing troupes. The Junior Parade, the world’s largest children’s parade, draws over 10,000 tikes, while the Starlight Parade hosts a fireworks display and carnival rides along the city’s waterfront. If parades aren't your thing, you can check out the festival’s boat races or Fleet Week (June 5–9), when naval vessels from the U.S. Navy, U.S. Coast Guard, and Royal Canadian Navy dock in port. The Yellow Rose may be famous in Texas, but in Georgetown, the red poppy reigns supreme. The central-Texas town is hosting their annual Red Poppy Festival on April 26–28, when the bright wildflowers will be in full bloom. The festival is a great retreat for adrenaline junkies, as the event includes a number of sporty activities. Put your hoop dreams on the line with the Celebration Serves three-on-three basketball tournament, cycle through beautiful Williamson County on the Red Poppy Ride (there are routes of all levels including 14, 27, 40, 50, 63, and 100 miles), or take a stroll down Austin Avenue and admire the hot rods at the Car Show. For the less-active, the festival offers musical concerts, arts and crafts, a parade, and food. Do you have a favorite floral festival that we missed? Tell us about it in the comments!